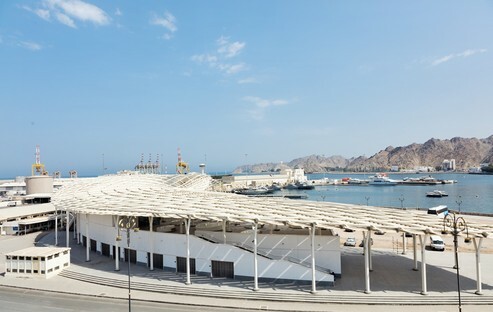 The Muttrah Fish Market, Snøhetta’s latest new project, is the perfect synthesis of tradition and innovation, in the biggest port in Oman. 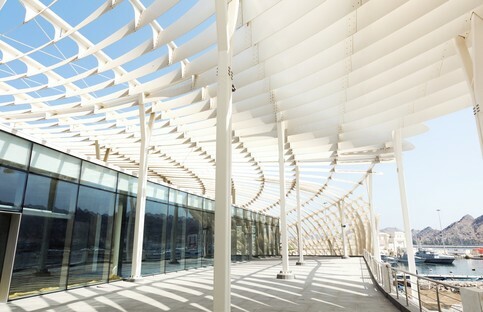 The new fish market designed by Norwegian studio Snøhetta on the coast of the Gulf of Oman, soon became an important landmark on the waterfront; an urban landmark that fits perfectly into the lively setting of Muttrah, linking it with its surroundings. The city stands on the coast of the Gulf of Oman, which has historically been and still is an important centre of trade, thanks to its ancient tradition of fishing and its characteristic port, the country’s biggest and most important. 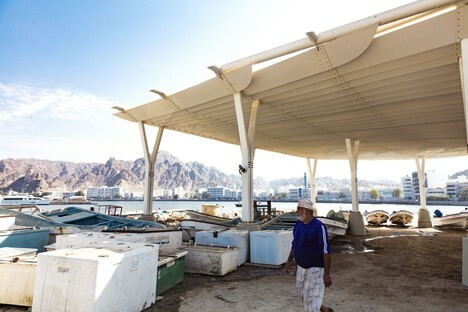 According to the architects of Snøhetta, the Muttrah Fish Market project is the perfect synthesis of tradition and innovation, built in the heart of Muttrah, an important hub of Oman’s flourishing fishing industry. 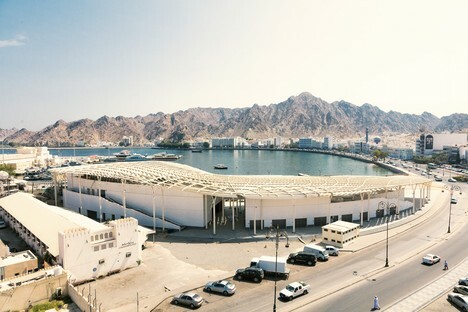 The new construction stands next to the old fish market building, constructed in 1960; a choice dictated by a dual intention: establishing continuity with the past while at the same time giving Oman’s growing tourism industry an appropriate modern facility. 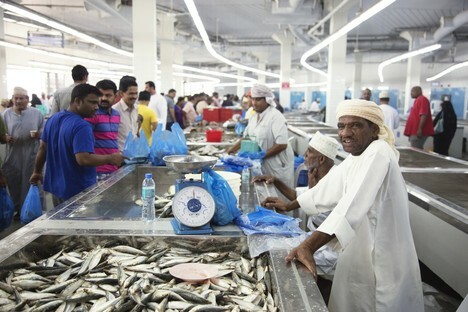 The new fish market occupies 4,000 square metres, offering plenty of space for local fishermen and tourists from all over the world and fitting harmoniously into the landscapeof the Gulf. 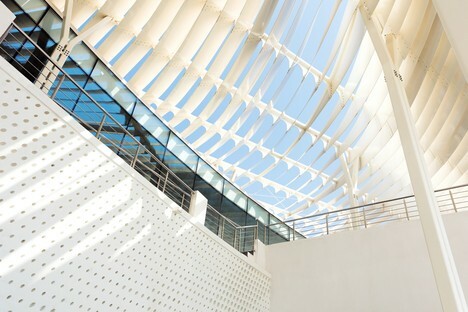 The architecture defines the public space and becomes a key element connecting the city with the landscape around it, from the mountains to the waterfront. 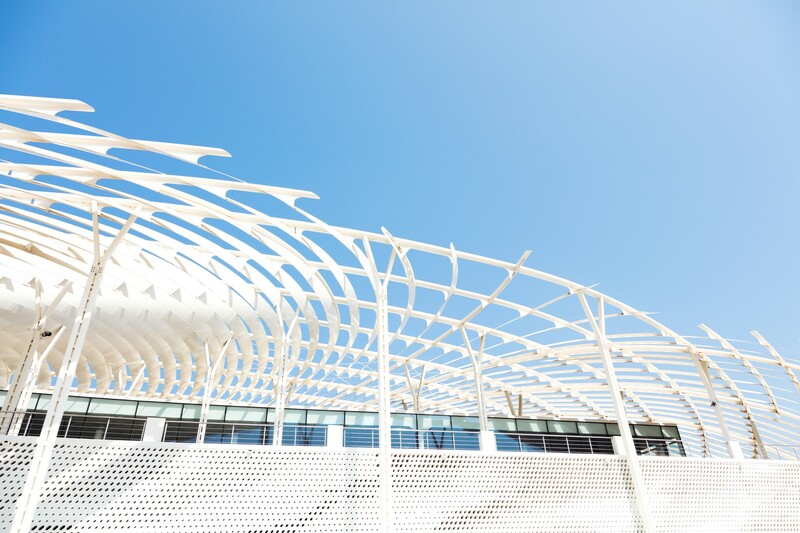 The lights and shadows on the roof of the fish market are inspired by the sinuous shapes of Arabic calligraphy and are visible from a great distance, forming the element most strongly characterising the project. 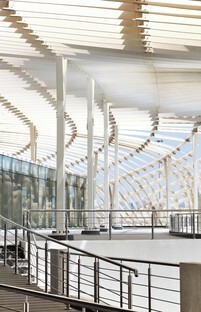 The shape of the building allows it to be defined very concisely as a double radial wall. 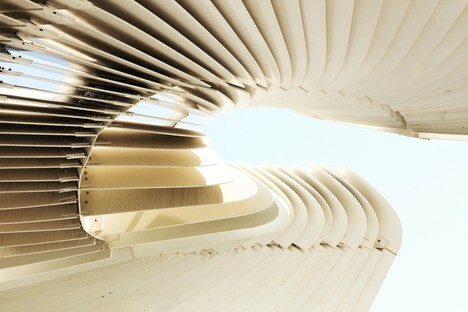 Observing the building in the landscape, we note how its curve picks up on the bend in the bay and continues it, while also interacting with the nearby road, incorporating stairways connecting it with the patios on the upper level. 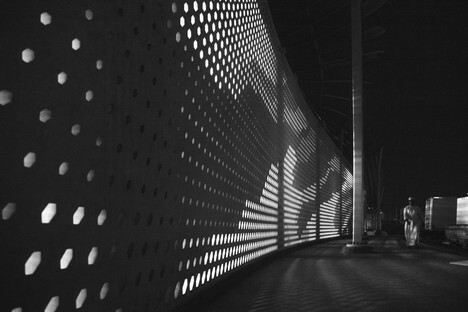 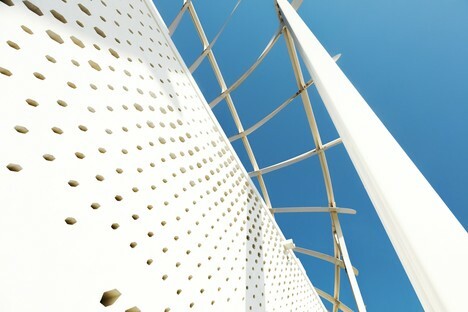 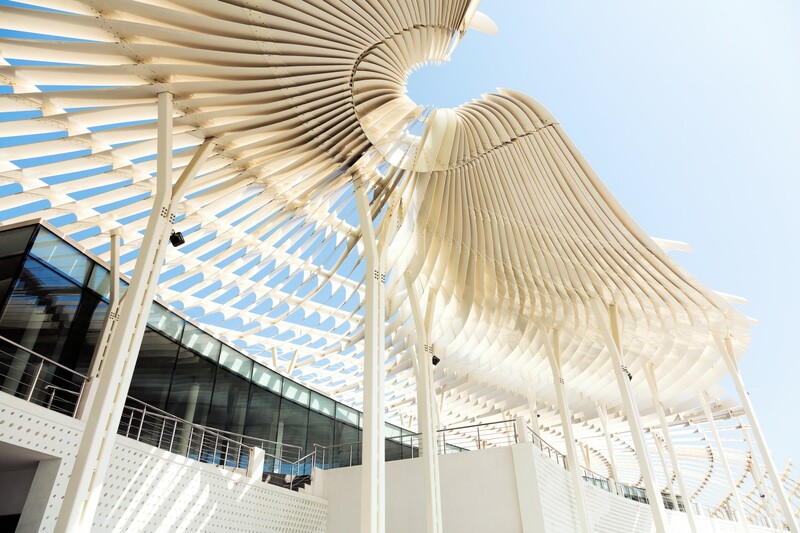 In its urban setting, the project reveals how public space is defined by the roof, which organises the spaces below it and shelters them from the sun, creating dynamic shadows defined by the metal wings of the sunbreak. 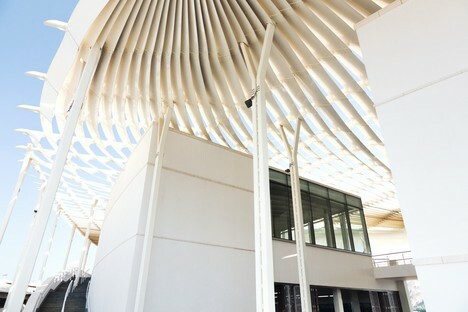 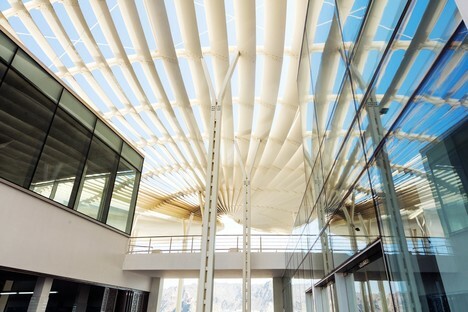 The sinuous curves weave the roof, creating playful effects of light and shadow, providing shelter from the sun and promoting natural ventilation. 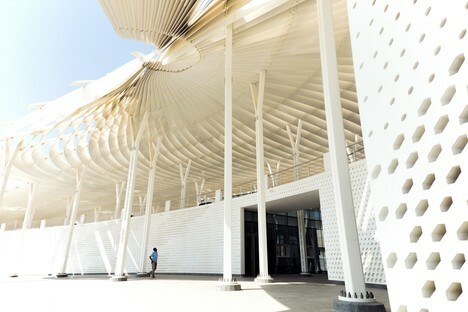 Despite its complexity, the structure of the roof lightens the building’s appearance and creates a contrast with the apparently simply solidity of the radial double concrete wall. 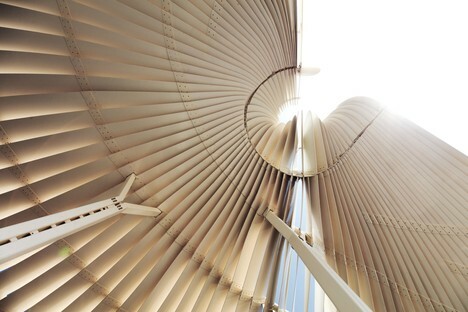 The double radial wall also reveals its complexity upon closer observation. 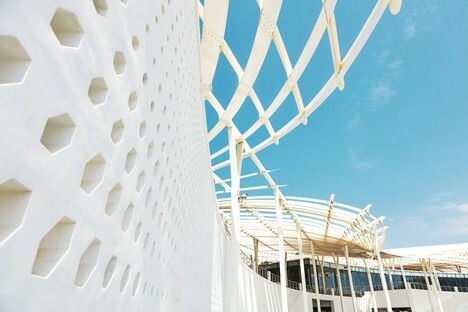 The wall is not a solid surface on the waterfront, but a grid made up of hexagonal openings; a solution favouring natural ventilation, bringing the sea breeze into the market like a mashrabiyya. This architectural solution indissolubly links the new Muttrah Fish Market with tradition, while at the same time interpreting it in an innovative way. 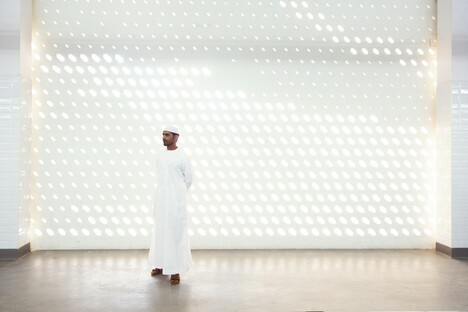 The architects of Snøhetta pick up on a traditional element of Arabian architecture, the mashrabiyya, synthesising it and adopting it on a large scale so that it becomes the pattern of the wall itself. 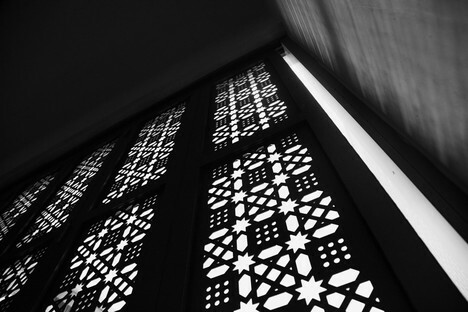 The building also has what we might call a more traditional use of the mashrabiyya, expressed through typical motifs of Arabian iconography, used here in the doors restricting access from the street. 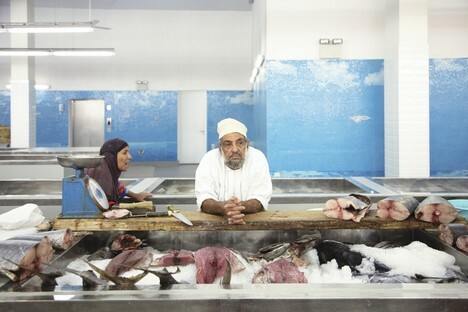 The ground floor houses the big market hall, like a miniature city with more than 100 seafood stalls and a new fruit and vegetable market. 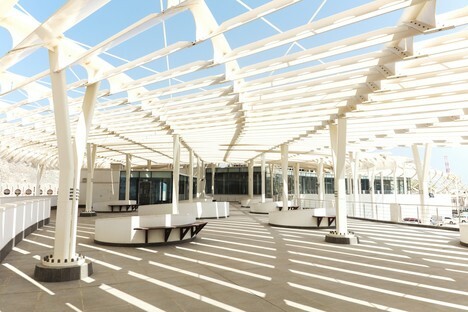 The new building also includes spaces for refrigerating, packaging and storing food products. 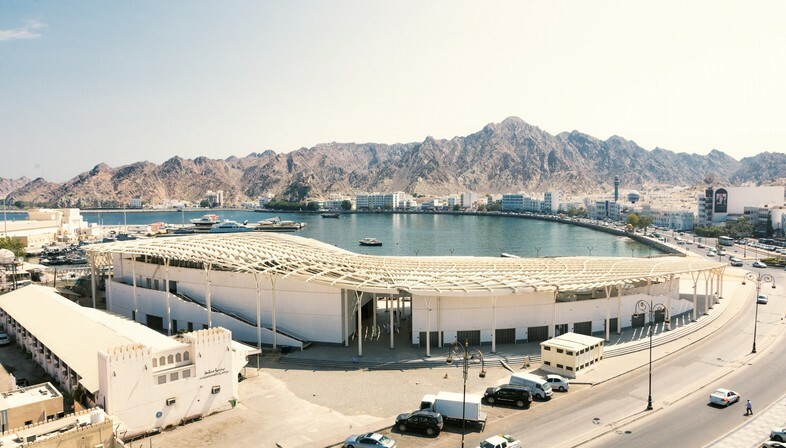 And the new Muttrah Fish Market is ready to welcome tourists, with a visitors’ centre, a coffee shop and a restaurant on the upper level, where visitors can enjoy panoramic views over the bay sheltered under the roof.